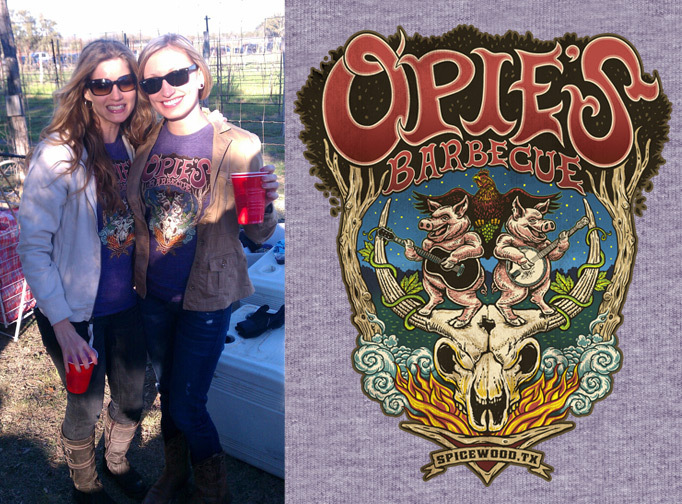 Opie's BBQ at the "Spicewood Vineyards Annual Chili Cook Off"
Opie’s BBQ has done it again! The famous Spicewood BBQ joint known for raking in awards took the top honors – People’s Choice 1st Place and Best in Show Judge’s 1st Place- ribbons at the 4th Annual Spicewood Vineyards “Pair It with the Claret” Chili Cook Off on February 25th. Was Opie’s chili really more delicious than the other 39 competitors, or was it their amazing dueling pigs tees that really turned the tide for voters? We will probably never know, but we’re proud of our friends for their big win. We can’t agree more when they say “Life is good in Spicewood”.